United States Army veteran J.A. 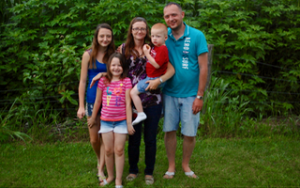 Angelo believes strong family values are the foundation for building strong families. J.A. and his wife enjoy volunteering in their local school district and are leaders in various children non-profit organizations. They also donate to various charities for children and veterans. A portion of the book proceeds will go to these great organizations to help support children non-profits, and veterans and their families. My first book, A Trail of Honesty, was not intended to become a book with beautiful illustrations. It started out as part of my dad's eulogy when he passed in 2011. After Pastor Bounds read my story and finished the rest of his service, he came up to me and mentioned that my story would make a perfect children's book. After approximately, seven years, I decided to honor my dad's life by sharing one of my memories with him to other children. I researched various sites and submitted to various publishers. After, I decided to self-publish, I learned of Upwork, where I found an editor and illustrator that would fit my needs. I had only a few hours to write a story for part of my dad's eulogy. After getting writer's cramp, I decided the story was perfect for my dad's service. After Pastor Bounds mentioned that I should turn my story into a children's picture book and approximately seven years later, I submitted the perfect picture of my dad, mom, and siblings at the time of the story, and sent it to the illustrator I found on Upwork. During the writing process, I read the story numerous times to myself and went through a few pages of paper due to me listening to my characters. One piece of advice I would give other writers is to write from your heart. Just because you spent a great amount of time thinking you know what you want to write, listen to your heart and see if you believe the story is going in the right direction. After my dad's eulogy, Pastor Bounds came up to me and mentioned I should make my story a children's book. Approximately seven years later, on New Year's Eve, I decided I was going to look into having my book published. The traditional method of book publishing could become a thing of the past, as more writers are using the self-published method for a variety of reasons.